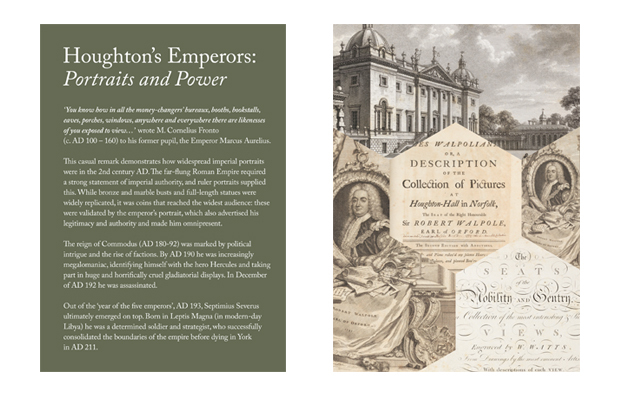 The world renowned Fitzwilliam Museum contacted us to create the panels for their up coming exhibition Houghton’s Emperors: Portraits and power. With plenty of time before the show started we were able to explore new print techniques. 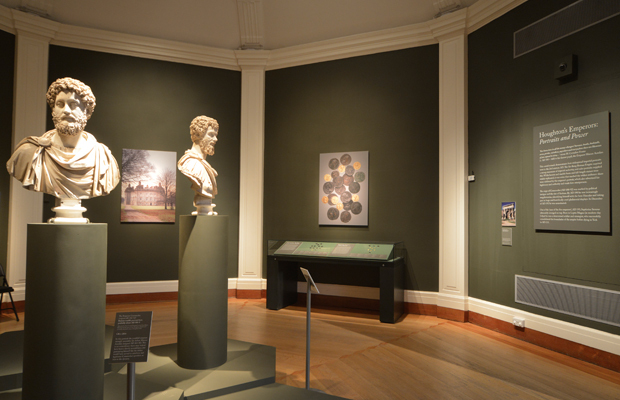 Printing direct onto canvas was something textural we wanted to offer The Fitzwilliam Museum and thankfully we found a local company that could do this. Being thorough with the brief, the idea was to create panels that compliment the show and not dominate it. So we used perfect typography and a subtle use of shape to reflect the room in which the show is set. The results, well lets let the Exhibitions Manager sum that up for us. I found Hold Design through their beautiful work for Fabrica Gallery. Hold have been a pleasure to work with, understanding our design brief and delivering to perfection. The combination of aesthetic integrity and accessibility in their designs has meant they are a joy to work with. Photo Credit: © The Fitzwilliam Museum, Cambridge.